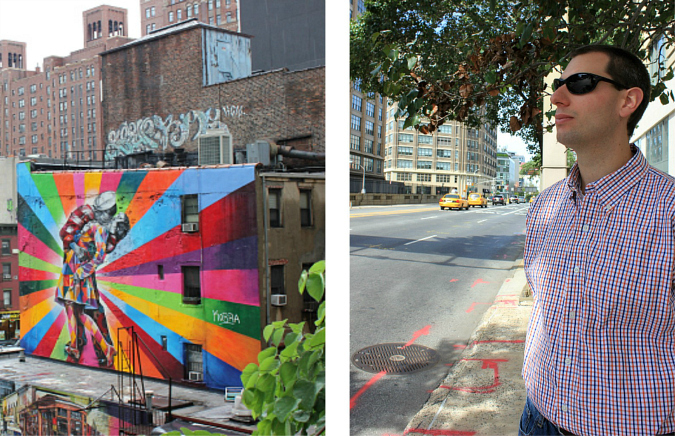 if you have spent any time in nyc, you know that street art is all over the city. some consider it to be an eyesore, while others view it as something that helps to beautify the city. i'm certainly not in favor of graffiti or vandalism, but the art on the streets of nyc turns the city into a type of outdoor gallery for artists to display their works to hundreds of passersby. this street art doesn't last forever. recently, a photographer decided to document some of nyc's best street art before it disappears. here are some of the images. They are really beautiful. Such talented artists and it does give the buildings a lift and showcases great talent. Much better than graffiti, which in do not like.